This introductory workshop aims to provide clinicians with an initial introduction to the principles and practices of EMDR Therapy in order to familiarise them with EMDR therapy and how it works. 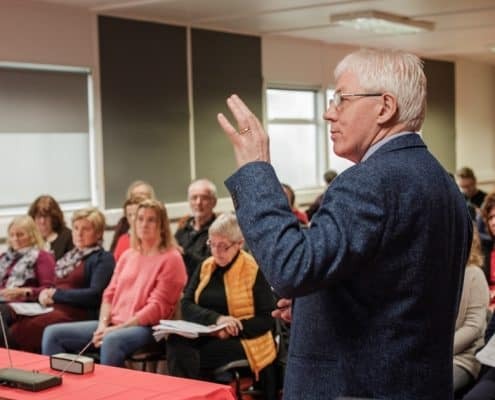 Gus is a highly experienced Counselling and Psychotherapy trainer having been Programme Director and Lead Trainer at the Cork Institute of Technology for over 25 years. He is widely recognised for his capable, dynamic and interactive training style which is endorsed by repeated feedback from participants. He holds a Master’s degree (M.HRD) in Training and Development.